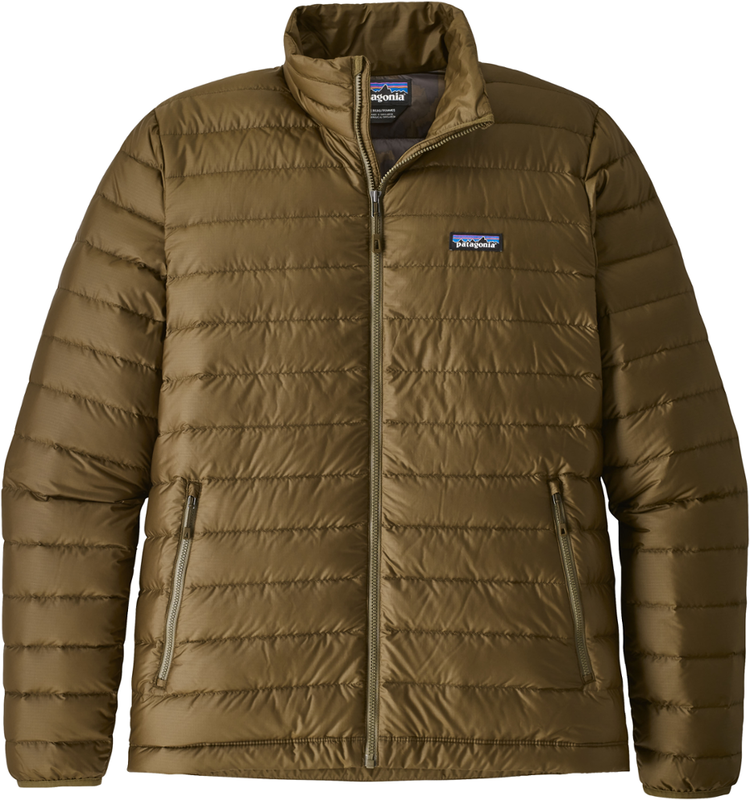 The Patagonia Down Sweater is a fairly lightweight and highly packable warm layer. The down sweater's relatively roomy fit is great for layering and won't constrain movement. 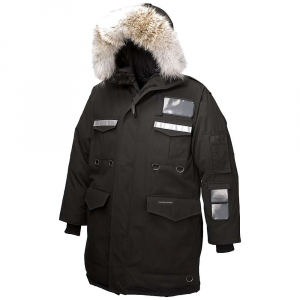 Based on a couple years experience, the jacket is very well made and will last for years with normal care. While it is not the lightest or most full-featured jacket and can be pricy unless you buy on sale, it is one of the more versatile puffy layers around. Highly recommended. I have had my Patagonia Down Sweater for a few years. I use it a lot in the spring and fall on cooler days, particularly if I expect to sit still for a while, and as a layer on winter days where i'm not particularly active. It might be the perfect cool/cold night layer for sitting around in. I love the versatility of this jacket, and it has proved to be surprisingly durable. My size XL weighs 13 ounces on a digital hand scale. The sleeves are perfect for my height (I'm 5'10"), and the hem falls right around hip length. I can wear a few thin layers or one thick layer underneath—plenty of room for an expedition-weight base layer or a light wool sweater, for example. The jacket isn't very thick, so it fits easily under a shell. 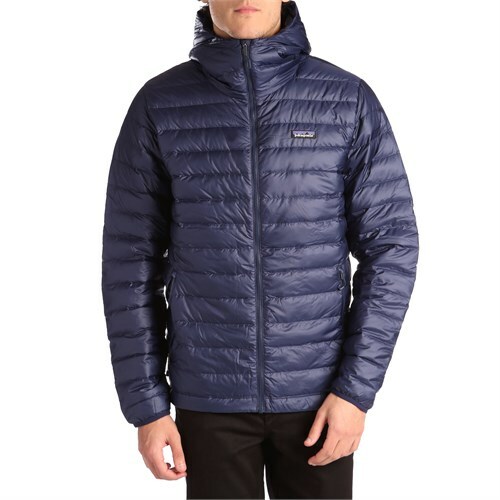 FEATURES: This is a pretty basic jacket, but Patagonia clearly put some thought into the design. The cuffs of the sleeves are not adjustable, they are elastic. Not what I would call an aggressive or hard elastic, though. The hem has an elastic shock cord, adjustable via a single pull on the right side. It has two outside zippered pockets, perfect for keeping your hands warm, and sized to hold small basic things — glove liners, hat, energy bars, compass, etc. It has one zippered inner pocket made out of stretchy mesh — once again, large enough to hold a few things. 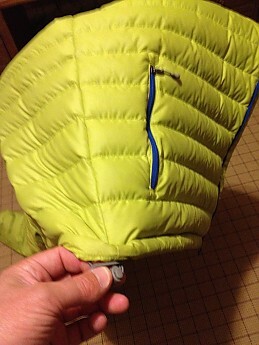 the inner pocket also serves as storage — you can stuff the entire jacket into that pocket, so no need for a stuff sack. The outer pockets and front zipper have pulls that are easy to use with gloves on, and the zippers slide easily, don't snag. 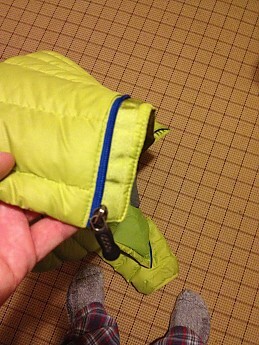 The front zipper has a small draft tube backing it, which can help keep out the breeze. Note that the draft tube has a strip of nylon to help avoid snags - very helpful. HOW IT PERFORMS: One thing I have noticed is that the outer shell is made to last. It may not be the lightest nylon in the world, but it doesn't easily snag or rip. I haven't had to patch it once. The other is that it is treated with some kind of water repellant treatment, because a light drizzle doesn't immediately collapse the insulation. This wouldn't be my choice for a rain jacket, of course. Because you're wearing two layers of nylon with down insulation in between, this does a pretty good job with wind. it is a sewn-through jacket, no baffles, so in a really healthy breeze, you can feel a little air getting in. [brief explanation - a baffle is a separate piece of fabric in between each 'tube' that contains down insulation. 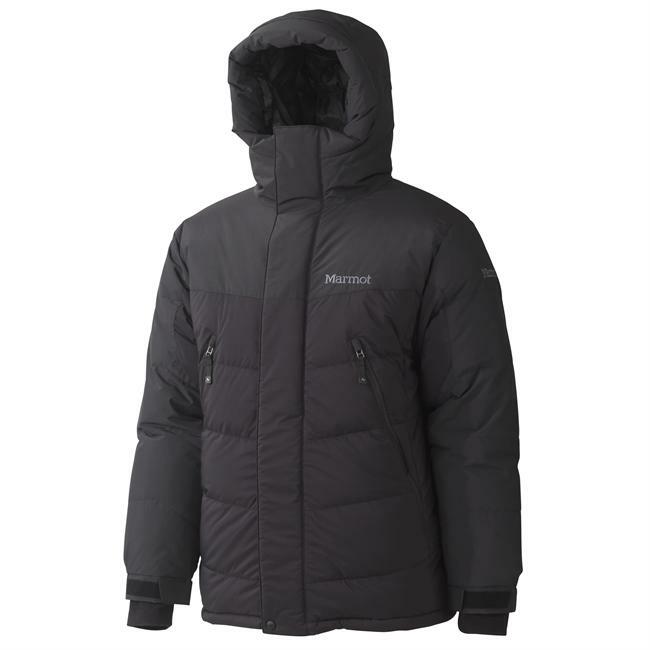 the best high-quality, high-loft down jackets use baffles to increase the loft of the insulation, hence the warmth. A jacket that is sewn through has no baffles, it merely stitches the inner and outer nylon together, with down in the small 'tubes' created by the stitching. Jackets that are not baffled tend to let some wind through via the seams; baffled jackets tend to create more buffer and are better at keeping wind out, in addition to allowing more loft]. 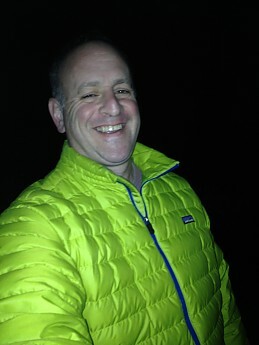 I grab this jacket for any trip where I expect to stop or sit around at night in temperatures roughly 30 degrees or higher, unless i figure it's going to be a really rainy or damp situation. stuffed into its own pocket, it is roughly the size of a small cantaloupe, so that's a lot of cozy, warm nights for such a small package. the loft hasn't waned that i can tell, despite a couple of years of scrunching and stuffing. I live in the mid-Atlantic, where cool weather tends to be confined to November through March, or so. True winter weather is kind of scarce, so this can take me much of the way through winter with a few exceptions. But, even summer nights in the nearby Shenandoah mountains can be cool sometimes. I use this in a tent at night, while i'm cooking dinner or hanging out by a fire, and I sometimes pull it on while stopping for a healthy break or lunch if i start to feel chilled. For the few winter trips back to my Northeast U.S. roots, I opt for a warmer jacket but still occasionally bring this as a mid-layer. DURABILITY: Much better than I initially expected. Picking up a jacket like this, I figured it was bound to snag on something, or abrade. it hasn't. Nothing has failed. I credit Patagonia for making this well and expect to use it for years to come. PRICE: Patagonia products are not cheap if you pay full price. Note the lovely neon yellow shade - I hunted for the lowest price, which turned out to be a website selling a discontinued color. that was the price of my 42% discount. well worth it, in my opinion. BOTTOM LINE: Not much I would change about this. For more dollars, you can find down sweaters that insulate just as well as this but weigh a few ounces less. 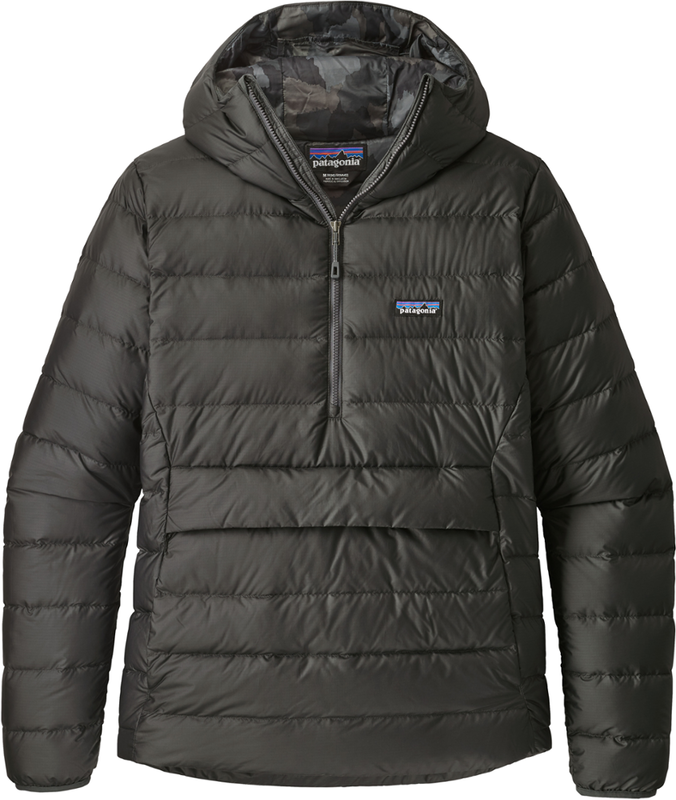 Mountain Hardwear's Ghost Whisperer is insanely light yet warm, for a retail price 50% higher. If you prefer jackets with a more athletic cut, there are better choices: the Eddie Bauer First Ascent down sweater has a trimmer fit, for example. If you're one of those people who always wants a hood, Patagonia makes a hooded down sweater, but I haven't worn it. Overall, I have been very, very happy with this jacket. I don't expect to replace it for a long time, but I would easily buy one again if I had to. Nice review, Andrew! I also have a Down Sweater. I love it. The only problem that I have is that the sleeves don't have very much down in them at all and after time can lose so much loft that they become almost flat. You are right about the wind cutting through the seams. Other than that, the Down Sweater is solid and super versatile! thanks, Ashleigh. down sweaters definitely have a niche, a nice mid-range. 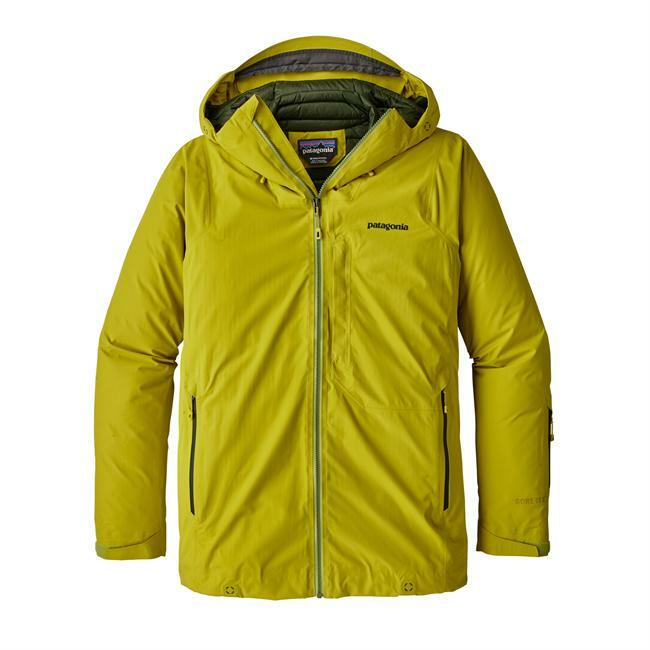 there are great down jackets a step up that give you a lot more cold-weather capability for not much more weight - i'm thinking along the lines of the RAB Infinity, Mountain Hardwear Hooded Phantom, Western Mountaineering Meltdown. definitely more warmth in both the sleeves and torso, and real hoods. I picked up this down sweater at the end of the winter this year after trying out a number of different synthetic jackets. This one fits like a glove, is instantly warm, weighs next to nothing, and packs down to the size of a grapefruit. The first time wearing it was when I took the doors of the Jeep on an early spring night. It kept me warm after the temperature dropped and wind picked up. I brought it on a trip to Maine a few weeks after getting it and found it to stand up pretty well to temperatures in the upper twenties. I'm planning on getting a lot more use of this jacket next winter. This jacket can handle the polar vortex with some layers. I was due for a new winter coat. I had been keeping my eye on the "new" lightweight 800 fill goose down jackets that everyone seemed to be making. But the price was very high and I didn't think they would perform as well as a two or three layer jacket. My last jacket was a two layer jacket from Columbia. The outside shell was tough but stiff, and the heavy fleece on the inside made it bulky. So something light, and not as stiff was appealing. Last summer Patagonia had their annual clearance sale so I jumped at this jacket nabbing it for around $100. This past winter in the Midwest has been brutal. I have been wearing this jacket nearly every day since November. It's almost April and I am wearing it again today! This jacket is amazingly warm for the weight. On 30-40°f day I can easily just wear this with a t-shirt or sweater underneath and I am just fine. On days where the wind is blowing I would put on a rain shell from Marmot over it. On colder days I simply needed to put on a fleece or heavy sweater on underneath and I was good to go. The drawstrings around the waist are easy to cinch up and do help to keep the heat inside. It is attractive enough to wear to the office and around town and athletic enough to support winter day hikes on local trails. I have never needed to but it compacts nicely into its own pocket. The only thing I wish it had was a chest pocket either on the outside or in the upper chest area inside. The hand pockets are spacious. But the only inside pocket is in the lower third of the jacket. This requires a near full unzip to get access to it. Not great on super cold and windy days when you are reaching for a hat or sunglasses. 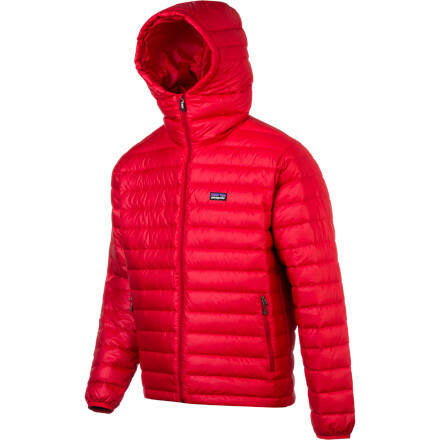 Over all this is a great jacket and for the price I paid, I got a great piece of gear. I would imagine many years of wear before needing to replace it. Bought this for a chilly fall hike in Michigan's UP... it's now a staple for home as well winter base layer. This sweater/jacket is a favorite of mine. Super lightweight and compressability make it perfect for camping and backpacking. This is my #1 garment for early spring and fall camping and backpacking trips. Spent the first week of May in Yellowstone with nighttime temps in mid-20s and daytime high of 32-50 and this was almost all I needed. 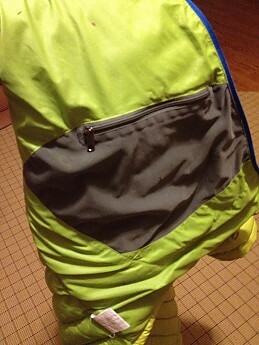 I did use a hardshell over it for the first hour or so in the morning or if I was on a route with a lot of wind. It also makes a great pillow once you're in your tent and sleeping bag. I seen this on sale in a number of places lately and all I can say is, "grab one!" I wanted to add an update: January 2013 trip to Guadalupe Mountains N.P. in west Texas. To my surprise, we had daytime temps ranging in the 20's and low 30's, and morning temp on our third day of 14 degrees! With good long underwear and a long sleeve shirt, this down sweater and an ancient Patagonia hard shell, I was comfortable even hanging around camp before heading out. I'm sure the hard shell contributed to this of course, being absolutely wind proof, but I was quite surprised to find this exceptionally lightweight jacket (sweater) kept me warm in such conditions. I've had this jacket since January and it's nice to wear around town as it's got a nice feel to it with all the puffiness. I will agree with a previous reviewer that I got the great fit around the chest and shoulders but it is a little loose fitting around the waist. I had the unfortunate opportunity to get it soiled from an aluminum handcart and that cost $30 to get dry cleaned, so needless too say I don't wear it anymore as an everyday jacket. I would recommend this jacket to keep warm any day! I have wanted to invest in a lightweight packable down jacket for awhile. Most are pretty pricey, so when I found this one on sale for $125 I took the plunge. I just recently used it on an overnight hike to Dragon's Tooth on the AT. As for performance it delivered as expected. It compresses very small into it's own pocket for easy storage in my backpack and weighs only 12 oz. Temps got down in the 30's that night and I stayed very warm with it on. I didn't even use my outer shell. I later stuffed it into a sack with my shell and it made a nice pillow for bedtime. My only complaint is that the fit is not the best. I'm 6'2" 225 lbs. I have the XL. It fits fine in the arms, shoulders, and waist, but it is too loose around the torso. I would prefer it be more form fitting. I tried on a Large, but it was too constricting in the arm pits and shoulders, so I had to go with the XL. Still a great performer and I plan on tossing it in my pack for every backpacking trip. I picked this up on a backpacking web board from another user who, at 6'5", was just too tall for this jacket in XL. Pros: it is super-light - just over 12 oz, highly compressible and very warm for the weight. It makes a superb insulation layer under a shell for temps down into the single digits with decent base layers underneath. It also compresses into its own internal pocket, making packing a cinch. The nylon shell w/ DWR sheds snow, but I've never tested it in the rain, and doubt I ever will, as I always have a rain shell when needed. Reasonably high collar protects the neck. Cons: only one - the waist cinch, a very thin elastic cord, has come undone at one end, and I'm not sure it will be an easy fix. Still, this would only affect performance on really windy days if this is the outer layer. Minor issue: some people may not like the elastic wrist closures.